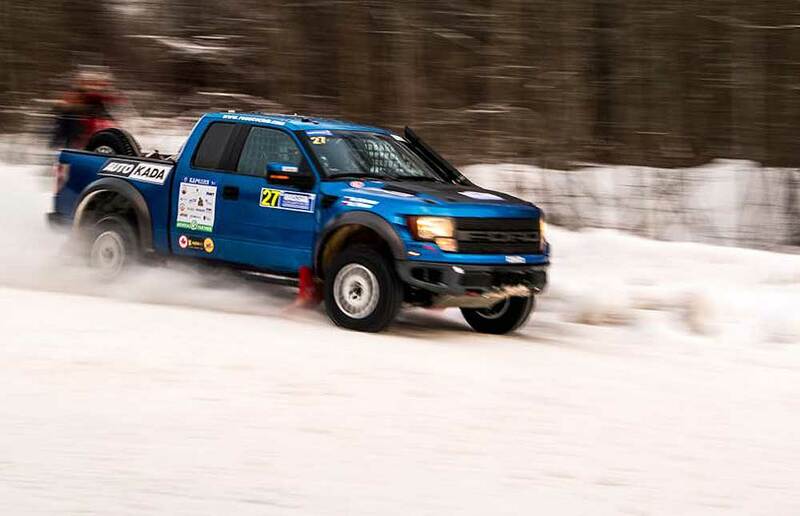 Good and bad start in the sesaon for the Latvian RE Autoclub Team: Tapio and Toni Lauronens from Finland (Mitsubishi L2 Prototype) and Alexey Titov / Andrey Rusov from Russia (Ford Raptor F150SVT) competed for leadership positions in the T1 and T2 class in the Russian FIA season-opener Baja Russia Northern Forest. While the Finnish crew had to retire, the Russian crew could win the race in the T2 (production) class. 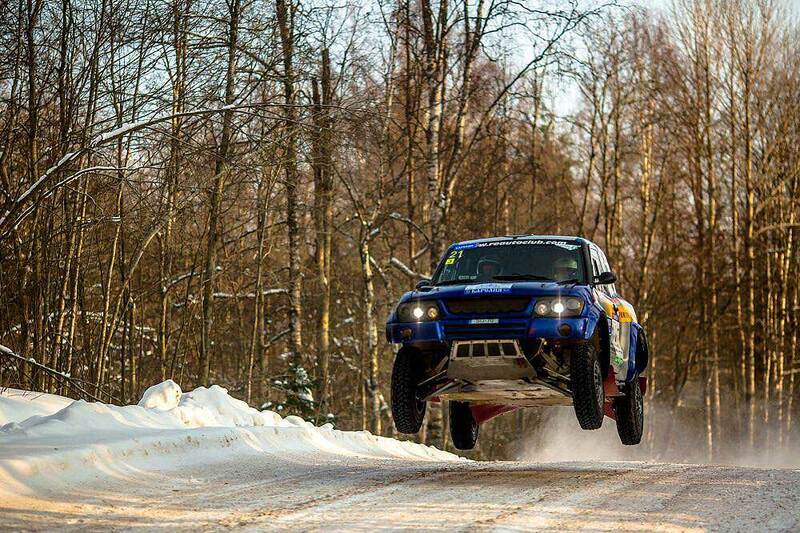 After the first day of the race and the two superstages on Saturday with overall 274 kms, Alexey Titov stayed in leading position, while Tapio Lauronen retained the 3rd position, although both teams had to change the tire during the superstages. After the second day of the race and 229 kms, Titov and Rusov retained the leading position and won 1st place in the FIA Cross Country Rally World Cup ranking. Unfortunately Lauronens 3rd place position remained only in the first two days of competition - after 21 kilometers in 4th stage on Sunday the crew quit the race. "This is a sport were technics has an important role, although it seems that the result and performance of the crews was successful," said Robert Elbakjan, director of RE Autoclub. "No one cannot predict when technical problems are expected. 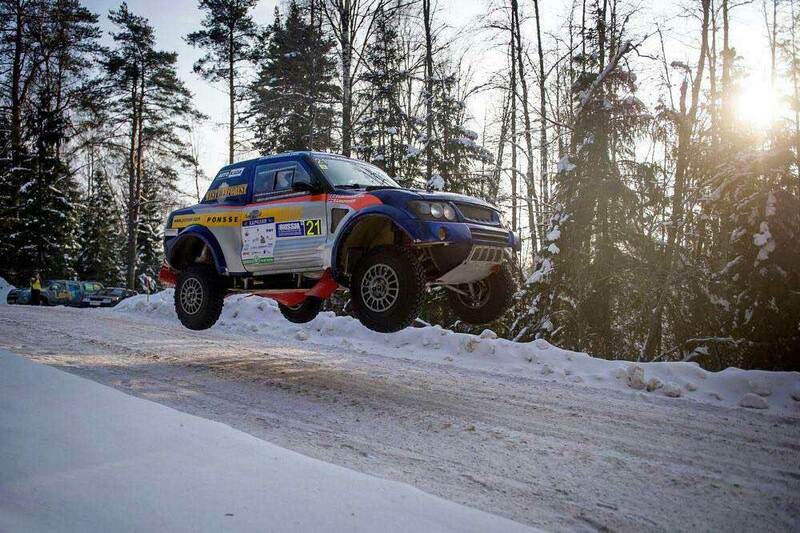 In general, team's performance was good – 1st place in T2 class, and Tapio and Toni Lauronens in the first three stages proved to be able to compete with world-class competitors. In the coming weeks, we will make very improvements and we will return to tests in Finland to prepare for the next fight for victory." Byttheway, RE Autoclub has a nice range of Rallycars for sale or for rent - for example some former factory Mitsubishi Prototypes. More informations about their cars you will find on the official website.